Now that many students have graduated, it is important to look towards the future now that you’re an alumni of Southampton. But whilst you may no longer be studying here, there’s no need to forget about your University days as there are lots of ways for alumnus to remain in touch! The first thing you should do is like the official University of Southampton Alumni page on Facebook. 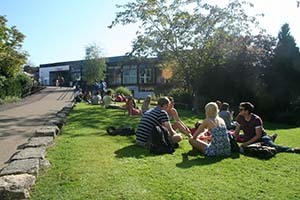 This page is regularly updated by the University with photos from years gone by, events that are being hosted specifically for alumni and updates from what is currently going on at the university, from society success to how the union is changing. They also regularly post updates on how former alumni are getting on in the world, from success in their profession to award wins. But the central page is not the only place to go, as there are also some local alumni pages such as this one made specifically for London Alumni. This page highlights whenever there is a planned meetup of former students, and also show some great deals that alumni can get at these meet ups, from free entry to certain events to money off drinks. Both pages are great ways of keeping in touch with the University, and maybe even reunite with lost friends, or simply to just have a chat with former students from your time at University. There is also a growing movement to have reunions here at Southampton, particularly among the media departments who are all celebrating big anniversary years this year. So whether it is through a message on Facebook, a reunion with locals who also came to Southampton or coming back and visiting your university and your union, there are plenty of ways for alumni to remain in touch with us, and if you haven’t done so already, then why not start getting in touch now? !